 Is SEA LIFE Birmingham fully accessible? Do you have disabled toilets at SEA LIFE Birmingham? Can I bring an assistance dog into SEA LIFE Birmingham? Disabled Guests may have a small wait to gain entry into the SEA LIFE Birmingham, however we endeavour to ensure the entry for all guests as quickly and efficiently as possible. SEA LIFE Birmingham is fully accessible for all guests.